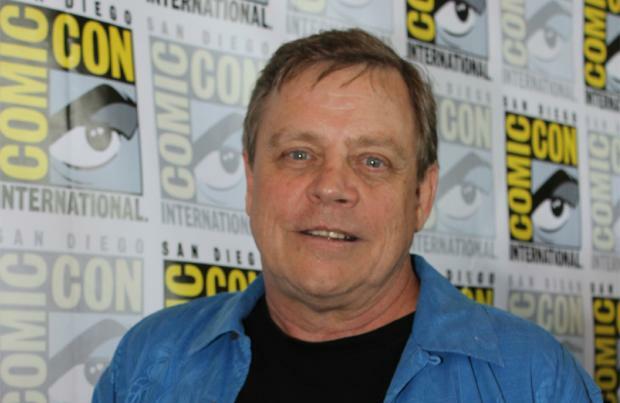 Mark Hamill has compared returning to 'Star Wars: The Force Awakens' to finding a "$20 dollar note in old trousers". The 64-year-old actor returns as Jedi Knight Luke Skywalker in the seventh film in the sci-fi franchise and still finds it "strange" talking about his comeback after over three decades away from the epic movies. He said: "Returning to the trilogy reminded me of taking out a pair of old trousers from the back of the closet and discovering a $20 dollar bill in the pocket. "It's still as strange for me to talk about being in another 'Star Wars' movie." However, Hamill is excited for younger generations to be introduced to his co-stars Harrison Ford and Carrie Fishers' original characters, and admitted he would never have agreed to reprise his role if they weren't coming back as Han Solo and Princess Leia. He told the Daily Mirror newspaper:"I'm proud of the legacy we left and I'm happy new generations of fans will get to see me and Harrison and Carrie back in the roles people loved. "I wouldn't have done this unless Harrison and Carrie were involved. It should be all of us or none of us."